The Tîrgu Mures-Iași Pilot Area in Romania is somewhat unique among the target locations of the TRANSGREEN project. Construction work has not yet begun for the planned Tîrgu Mureș-Iași-Ungheni (A8) highway. Moreover, the Feasibility Study of the planned highway needs to be revised and updated. This qualifies the infrastructure work as being in its early planning stage. This gives the pilot area leaders, Milvus Association, an opportunity to intervene in a timely manner and to attempt to positively influence the planning process, the minimizing the future highway's potential negative impacts on local communities, on both wildlife species and on natural habitats of national and EU importance. The goal is to identify key future fragmentation hotspots, where adequate mitigation measures will need to be implemented. 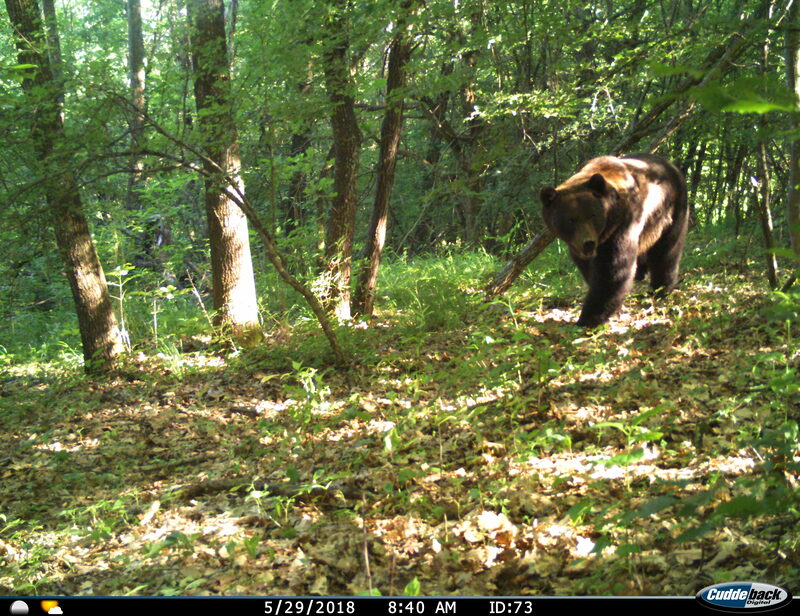 Thus, efforts within the TRANSGREEN project have been so far directed mainly towards identifying functional ecological corridors and suitable habitats that are intersected by the planned highway route, for a number of species (large carnivores, large herbivores, meso-carnivores and more). The methodology used consists of a long-term monitoring of the planned highway route with the help of motion-triggered cameras. This methodology has the advantage of being non-invasive and useful in mapping large mammal species in extended areas, with relatively little investment of physical effort and time. The planned highway route has been divided into 1 km-long segments, where 1 motion-triggered camera per segment was installed, at a distance of <100 m from the actual planned route. Cameras are placed in locations conducive for large mammal movements or in locations already indicated as suitable by the presence of tracks and other signs of the animals' presence. Each segment has been surveyed for at least 1 month. 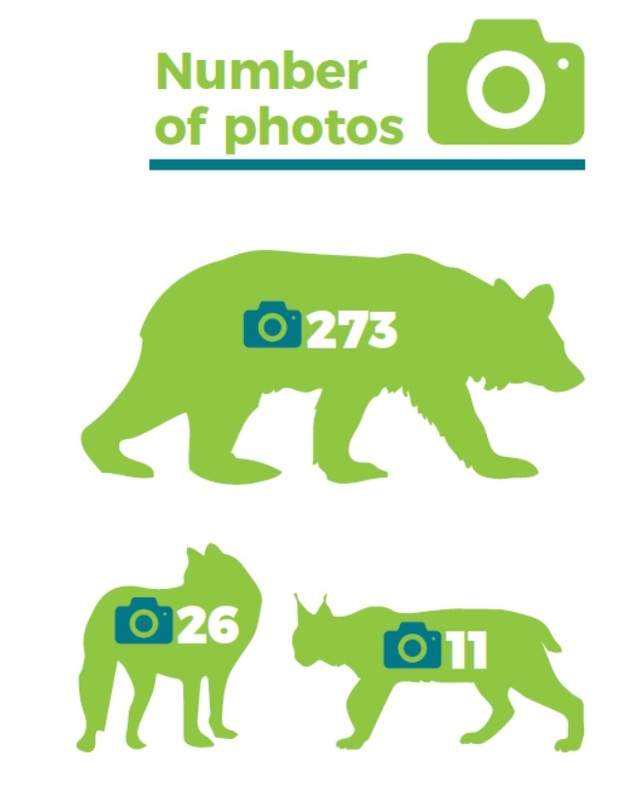 273 photos of brown bears; 26 photos of grey wolves; 11 photos of Eurasian lynx; 3703 photos of wild ungulates (roe deer, red deer, wild boar); 675 photos of mid-sized and small carnivores (European wildcats, European badgers, red foxes, otters, beech marten, pine marten).